Things are just not going well for Trump. His pal Julian Assange has been arrested! And Chelsea Manning is back in jail. Add Paul Manafort and the Orange guy himself will make a fourth for bridge. My guess is that Assange either goes to prison, or receives a pardon and membership at Mar-A-Lago. By the way, V., you omitted the missing link in the evolution of this case, Roger Stone. I thought it ironic that Edward Snowden weighed in – from Russia – on the loss of freedom of the press. You cannot make this stuff up. CIA, perhaps, if he requires employment. WOTD from Mike Littwin: "Colorado Republican Party has come up with a plan…". I have met Mike a couple of times. Smart guy. Good writer. Buried in the middle of this diary is the stats on what happened in the Bakken in North Dakota – a time when the industry was flaring off $100 million per month of gas while they pillaged the state's landscape. 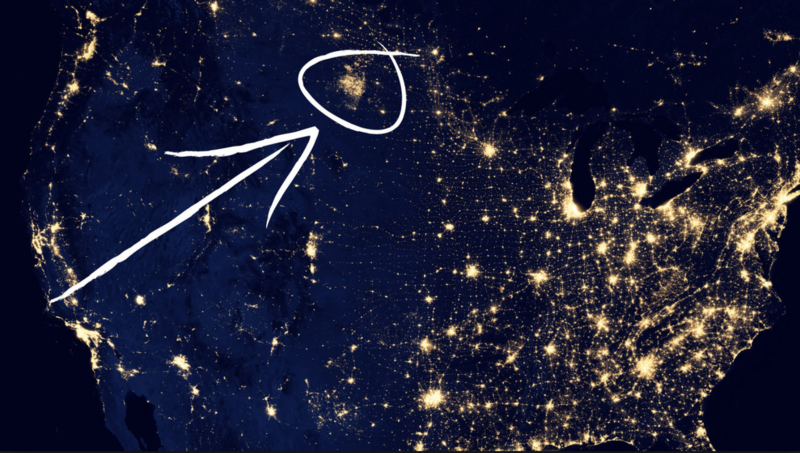 So much so that North Dakota lit up at night like an urban city as viewed by satellites in space. At the same time you might recall the nutters pushing meme's and stories for folks like Pfruit to make them believe O-bummer was actually trying to kill the industry in the Bakken. What is old is new again. Again. Wow, that's lit more brightly than North Korea is at night. Somewhere there’s a country where after a horrendous mass shooting it might be too late to prevent that one, . . .
. . . but that doesn’t mean it’ “too soon to talk about it” and also take some positive steps to prevent or limit the carnage of some future one(s).